When Clawdeen dreams of opening a salon made for monsters and normies, Frankie has the perfect place – an abandoned power station outside town. But the idea sparks negative voltage when Moanica plots to ruin the whole thing, and replace the celebration with something a little more…shocking! Luckily the ghouls have a secret weapon on their side – Twyla, the daughter of the Boogey Man, and the perfect ghoul to unearth any mystery. Along with her ghoulfriends, they must thwart Moanica’s plan, charge up their outfits, save the normie town from darkness – and open the most voltageous salon ever! 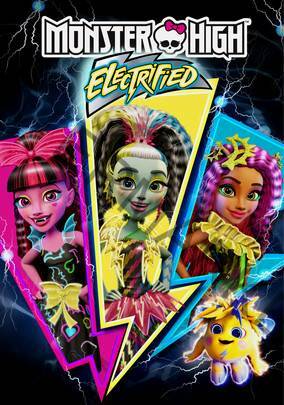 So catch every twist, turn, zap and blast…because the Monster High ghouls are about to get ELECTRIC!